Behold the leader of the White Walkers! 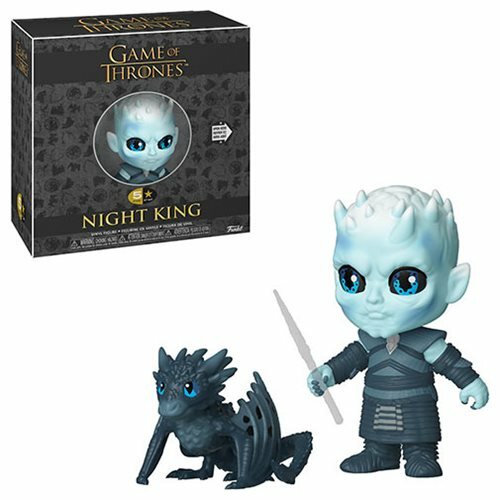 The once fearsome but now cute Night King includes multiple points of articulation and character-specific accessories so you can create your own storytelling moments. The Game of Thrones Night King 5 Star Vinyl Figure measures approximately 3-inches tall and comes packaged in a 5th panel window display box that opens like a book. Ages 3 and up.